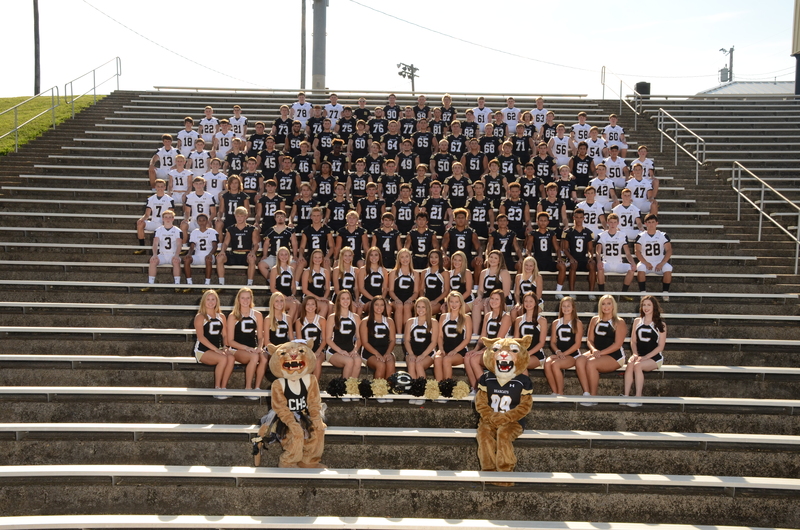 CULLMAN – This fall will bring a lot of changes for the Cullman Bearcats as they look to fill several positions on the field, but the most noticeable difference will probably be on the sidelines. This season will be the first since 2001 that head coach Mark Britton will not be there for Cullman. Coach Matt Plunkett, who made the move from Gardendale, was officially named as Britton’s replacement in January. Plunkett is taking over a team that went to the postseason in 2017 and his earliest goals were just to improve on that team in the offseason. He has seen his kids step up over the course of the spring and summer, and as a result, Plunkett expects this Bearcat squad to have a chance to win every week. One of Plunkett’s more long-term goals is to have the ‘Cats in the top 10 on a consistent basis in the next few seasons. This year’s Cullman team will have to replace a lot of game experience and production from last year’s squad, but Plunkett doesn’t want that to affect its identity on offense. Plunkett has seen a lot of young players step up this offseason and wants to take advantage of that talent pool this fall. Plunkett has high hopes for the skill players on offense this season and he knows that his kids are ready to win now. The Bearcats averaged just over 24 points per game last year and he’d like to see those numbers climb in his first season. Junior running back Jayden Sullins will be the centerpiece of the ‘Cats offense this fall, and Plunkett has seen him make big strides in the offseason. As a returning part of last year’s offense, Sullins will be looked to as a leader on the offensive side who can move the chains. The Bearcats will have to replace All-State offensive lineman Tyler Nunnelley this season, but with several other starters coming back and a new addition to the coaching staff, Plunkett is expecting his offensive front to play well together. On the defensive side of the ball, the ‘Cats had to make some moves at the linebacker position, but as a result, there will be two experienced seniors in the middle of the Black and Gold defense this season. Plunkett credited Defensive Coordinator Matt Hopper with the defense’s early success in fall camp and looks forward to seeing what he can do with this unit throughout the season. One of those senior linebackers, Wallace, talked briefly about how the offseason has gone for the Bearcats. Wallace has had to take on a bigger role as a leader this year as a senior and so far, he’s adjusted well to the coaching change and is looking forward to getting back on the field. With so much youth hitting the field for Cullman this fall, a lot of people are expecting a bit of a rebuilding year from the Bearcats, but Plunkett and his team are ready to surprise people. Click here to read about the Cullman Bearcat Band.